A circle represents wholeness and inclusion. A circle has no beginning, no ending and is always in motion. A circle is a powerful metaphor that reflects a few of the key principles @financial was founded on. Another core tenet of ours is providing education and financial literacy to clients and the general public. We are always interested in “broadening the circle of financial wellness.” Our advisors and entire team are teachers at heart and pride ourselves on all aspects of developing financial literacy - every step of the way! We are a Chicago-based, full service financial services brokerage specializing in comprehensive, holistic financial planning, and offer a complete line of financial services and products for families and businesses. While we are proud to service clients in every stage of life, our specialty is Comprehensive Retirement Planning and developing income-oriented planning strategies. Do you know of a friend, colleague or family member who would benefit from the financial planning services we provide? YES! 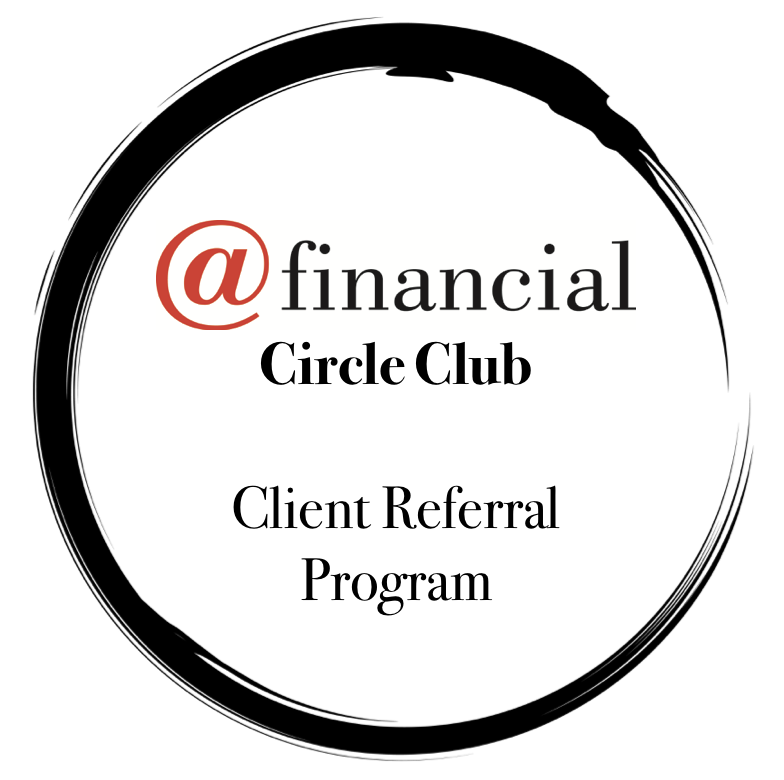 I am interested in becoming an @financial Circle Club partner. @financial is a full service financial services brokerage specializing in comprehensive, holistic financial planning, and offers a complete line of financial services and products for families and businesses - including retirement planning, college planning, estate planning, business planning, life insurance; annuities; health insurance; property and casualty insurance; long term care insurance; disability insurance; and investment advisory services. This website is for informational purposes only and is not intended to be a solicitation, offering, or recommendation of any security. Although this website may include investment-related information or opinions from its editors, you should not consider anything you find in the email to be a recommendation that you buy, sell, hold or otherwise invest in an individual security, or any other investment or asset. This newsletter does not intend to provide investment, tax, or legal advice. Additionally, @financial does not represent that any securities, products or services discussed in this website are suitable or appropriate for all investors.